Closing date for online entries is 7th November 2014 at 5pm. 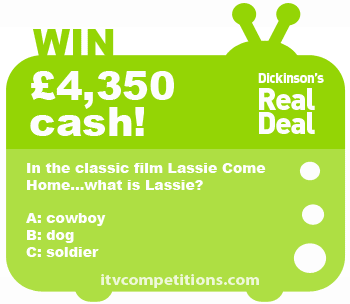 In the classic film Lassie Come Home…what is Lassie? Enter 3 times per phone number free using the online entry form.